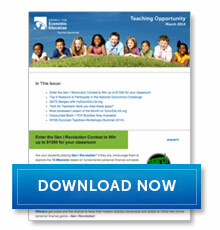 CEE Launches Student Poster Contest for Financial Literacy Month! The Council for Economic Education (CEE) is excited to announce the launch of our Financial Literacy Student Poster Contest open to all NYC Metro area teachers and their students*. 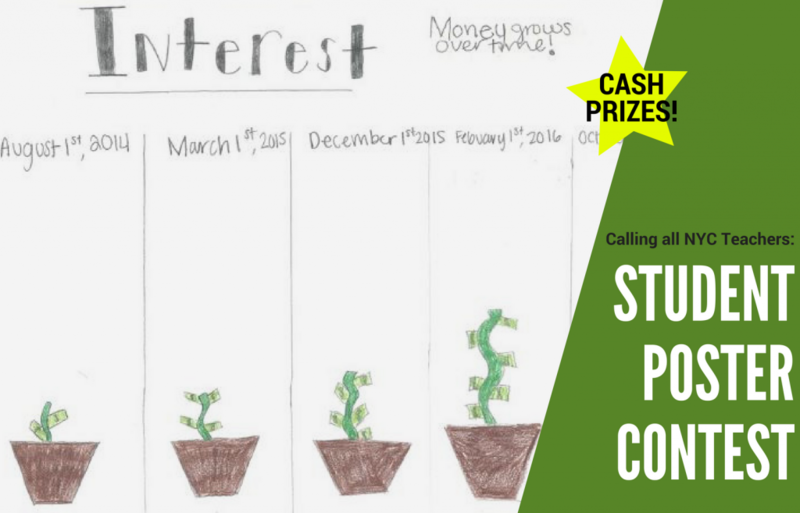 Teachers are invited to submit their students’ creative posters that illustrate a personal finance or economics concept. 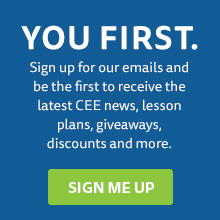 Four winners will be selected by CEE – one from each grade band (K-2; 3-5; 6-8 and 9-12). The student winner and their teacher each will receive a $250 AmEx gift card plus an invitation to a recognition ceremony where we will feature their work of art. We can’t wait to see what the students will design! For more information on eligibility and submission requirements, please visit our contest submission page. * Contest is open only to residents of the following counties: Bronx, Kings, Nassau, New York, Queens, Richmond, Suffolk and Westchester. To view the official contest rules click here. The Students Have Spoken: Vote for Your Favorite Economic Advice! 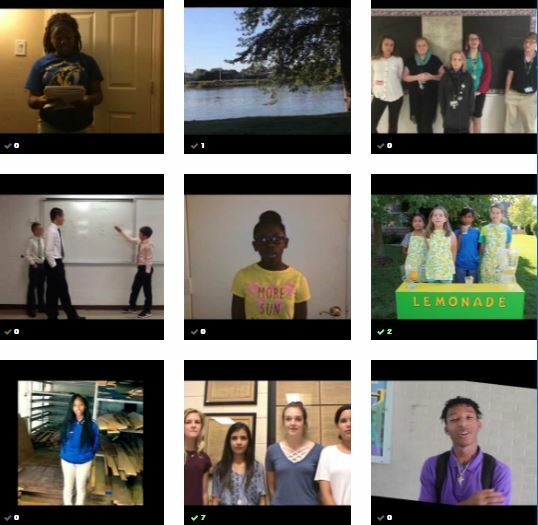 We asked students nationwide, “What economic advice would they give the next U.S. president?” and we received hundreds of creative and fun video entries. The topics ranged from increasing human capital, helping the homeless, cutting the military budget, free college tuition and more! Voting period ends October 7 at 11:59 p.m. ET. 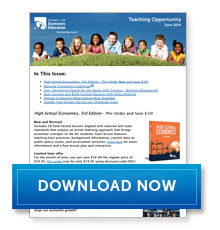 High School Economics, 3rd Edition – Pre-Order Now and Save $10! Gen i Revolution Search for the Sweet 16th Contest – Winners Announced! 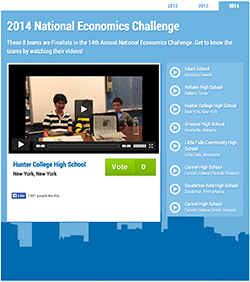 Meet the 2014 National Economics Challenge Finalists and VOTE for your favorite video! The 14th Annual National Economics Challenge culminates with an exciting quiz bowl Monday, May 19 at 1:00pm ET. More than 10,000 students from 40 states participated in this year’s competition, and only eight teams will vie for the title of National Champions in New York City next week. CEE asked the eight Finalist teams to prepare a video profile that shows who they are as people, students and scholars. Get over to our Facebook page and vote for your favorite team. The team with the most votes will receive a $100 Amazon gift certificate for their school and a $25 iTunes gift card for each student from the team. You can VOTE once each day starting today until Friday, May 23, 5:00pm ET. We’ll announce the winning team on Tuesday, May 27. This video contest has no influence on National Economics Challenge testing and judging. CEE announces the winners of our Gen i Revolution Search for the Sweet 16th Contest! The winning entry of the CEE Choice Contest was created by a team of five students of M.T. Blount High School in Eight Mile, AL. Allen Merryman, a Career Tech Teacher at M.T. Blount, served as the team’s sponsor. The team’s Mission topic is the importance of insurance. Their mission looks at the types of risks that a young person may face—such as health concerns or purchasing a car—and explores the possible ways to protect against that risk. Gen i Revolution’s upcoming sixteenth mission will draw inspiration from this entry. The new mission will teach the important financial literacy concept of protecting and insuring. Each team member has earned a $50 iTunes Gift Card, the sponsoring teacher has won a $1,000 American Express Gift Certificate for use in the classroom. The Popular Vote Contest was won by a five-student team from Peak to Peak Charter School in Lafayette, CO. Peak to Peak math teacher, Bobby Letter, was the team’s sponsor. 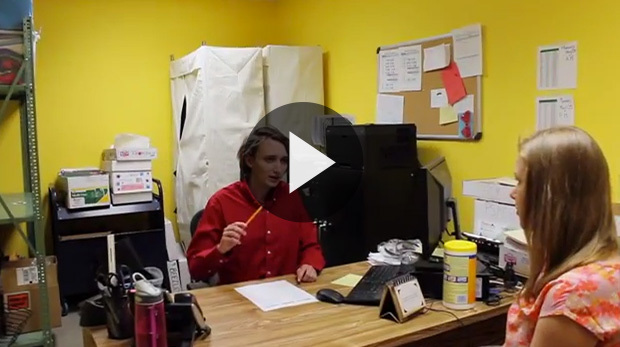 The team’s video, Using Credit, demonstrated their Mission topic of properly using forms of credit. The team created their mission to teach the importance of understanding and maintaining the use of credit and determining the best form of credit to use in different scenarios. Each team member has won a $25 iTunes Gift Card, the sponsoring teacher will receive a $500 American Express Gift Certificate for use in the classroom. We received incredible submissions and thanks to all entrants for taking the time to create their ideas for Gen i Revolution’s Sweet 16th.